For pricing and details, select your state. 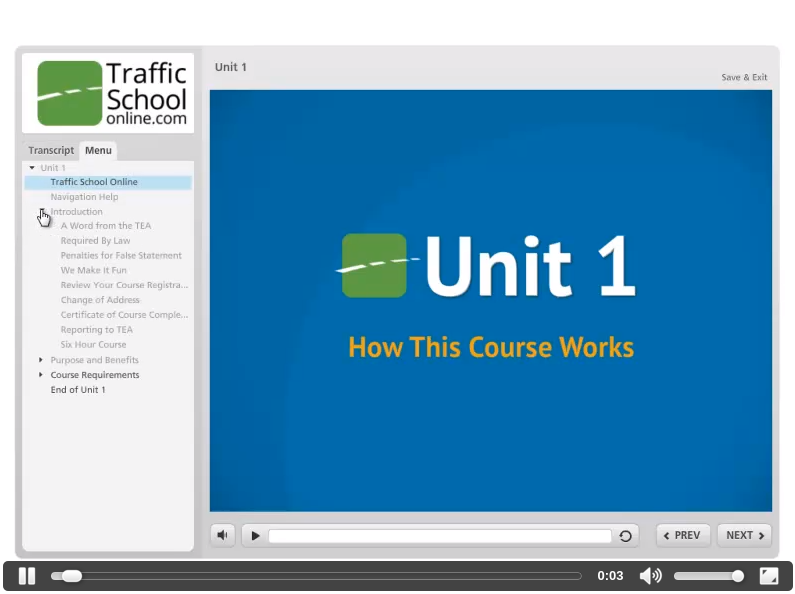 Here's why trafficschoolonline.com is America's #1 online driving school. Over two decades, we’ve learned a lot about helping drivers like you. That's why we offer options like a text-based course that lets you can go at your own speed, or an interactive course for a more game-like experience. 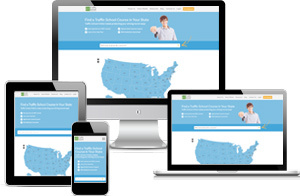 Other companies may offer their driving school online for less. But when you look closely, you see extra fees for things like processing and delivery. By the time you're done, you actualy pay more. Take it from those who know – we make it as easy and convenient as possible. Our online driving school is made for those on the go. We’re so confident you’ll love our online traffic school, we’ll gladly refund your money if you don't*. Our US customer support team is here when you need us, every single day. 100% money back guarantee within 90 days from sign up if the student has NOT completed the course. If the course is completed and the jurisdiction does not accept the completion, the student must notify us of this, then verify completion with the appropriate jurisdiction prior to issuing a refund. A $5 processing fee will be withheld and the remaining balance will be refunded. Refunds after 90 days will be issued at our discretion. Approved refunds can only be issued by a mailed check and a check processing fee, will be withheld. You are eligible for 100% of your money back before you begin the course. Once you begin the course, your state and court fees are sent out and they cannot be refunded unless: an officer fails to file the citation with your court, or the court dismisses your ticket, or the court requests the refund to be granted. 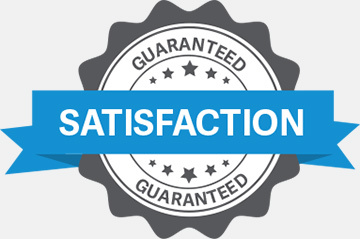 100% money back guarantee within 90 days from sign up if student has NOT completed the course. Completions after the due date will not be accepted by the state nor will any refunds be provided. You are not entitled to a refund at any time if you a) have been expelled for a security violation, b) you have successfully completed the course, or c) failed the course.